This post originally appeared in May 2009. It has become one of the most widely viewed posts on our website. 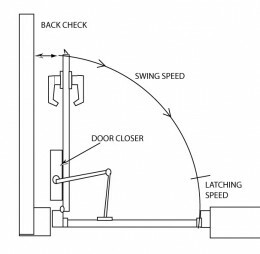 Repairing door closers is not too difficult, even if you are only slightly mechanically inclined. The original post, including many comments from viewers can be found here. The post in the link above is by far, the most popular and frequently viewed post on this website. Perhaps our best selling product of the last 8 years, the Lockwood 7444 Keyed Pocket Door Lock and it's siblings, the 7410, 7400 and 7450, Privacy, Passage and Passage Latching versions continue as an in-demand and sought after offering that is easily installed and aesthetically pleasing. The simplistic design allows for easy modification of a standard 2-3/8" (60mm) backset prep, with a standard 2-1/8" (52mm) cross bore hole. The two connecting screws are stainless steel self-tapping screws that carve the threads in the outer casing for a solid/tight fit, requiring little to no maintenance over time. As with any hardware product you install, natural movement of your house will effect how your doors move and lock/operate. It is important to periodically maintain your products to ensure continuous normal operations. Take a look at the animated installation video and a marketing video that explain the products and the simple installation procedure, at our sister site locksmiths-st-louis. Competitively priced and fast shipping ensure you receive product quickly. Click on the picture at top left of this page to purchase and/or learn more. 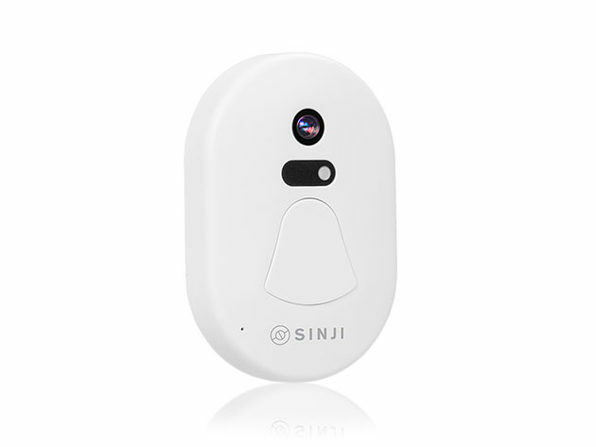 Sinji Wireless Doorbell and Camera System offers alternative to the Ring doorbell system. 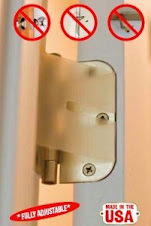 This inexpensive alternative differs from Ring because it is not taking video and consuming significant storage. This product is quite different in that it takes a snapshot of the door bell ringer and sends it over your home wifi system to users of an app. Storage of pictures occupies significantly less storage than you need using the Ring product, yet offers similar security, albeit for much more competitive prices. Yale Assure Locks with Wifi, Zigbee or Z-wave are now able to use the Xfinity Home Connectivity Service provided by leading communications provider Comcast. 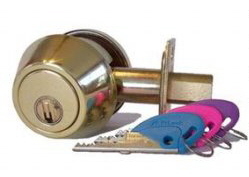 Yale are well known across the globe for their longevity in the lock manufacturing industry. their products are found in just about every country in the world. The booming digital technology security products market continues to see massive growth and big players like Yale have not made their intentions secret. The number of products they make that already communicate with your home communications networks continues to amaze. In such a crowded market, having a name like Yale is sure to be a game changer and finding competitive value remains a challenge. At least you can be assured that Yale continues to bring to market quality products at competitive prices, based on their 150+ years of continuous operations. Stack-On Safes, a Chicago based manufacturer of high quality safe and storage solutions, that has been offered through locksmiths for many years, has decided to close it's two local manufacturing facilities. The closures will eliminate almost 150 local jobs and move the companies manufacturing operations to Mexico. The decision has not come lightly for Las Vegas based parent company Alpha Guardian, who believe that the recent introduction of tariffs on Chinese metals is a large contributing factor to the decision. The tariffs announced in June, are making local USA based metal products manufacturers at odds with the federal government, who are attempting to bring back local metal manufacturing to this country. Unfortunately, local based metals manufacturers cannot produce the quantities of metals, at sufficient cost points, to enable companies like Stack-On to continue to be competitive in the marketplace. Stack-On produce some innovative and high quality safe and storage products that are recommended and demanded by swathes of local locksmith companies, sporting goods suppliers, gun clubs, among others in the wider marketplace. Critical to their business model is the cost of raw materials, chiefly steel. The recent introduction of 25% tariffs has turned their business model from a profitable venture into a loss. Whatever your chosen political affiliation, it is important to understand the pros and cons of tariff applications and be aware that many countries can be economically affected by ignorant policies that cause upheaval to businesses, communities, employment and consumers. Identity Theft Continues To Be A Real Problem. How Would You Protect Yourself? 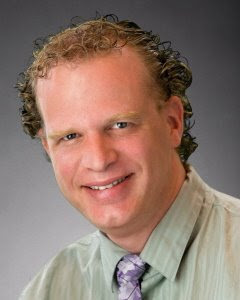 Identity theft continues to be a big problem affecting many people across a wide range of society. 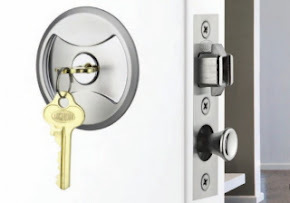 You already like to protect your homes and families from unwanted intruders by installing quality (hopefully) security products and getting them installed by trained and qualified locksmith technicians. But what do you do to better secure yourself from identity theft? An article in Readers Digest recently appeared that discusses 26 Secrets An Identity Thief Doesnt Want You To Know. Essentially, there are many little things you can be doing to minimize the chances that these opportunists attempt, to interrupt and destroy your peace of mind, your security, your financial security and those of your family and friends. Being aware of these secrets might help (in some small way) to better protect you as you move forward. A new article has appeared that discusses the authors reasoning about why you should think twice before purchasing an Amazon Echo smart speaker. A group of hackers at the recent hacker convention Defcon Security Conference in Las Vegas, presented a discussion about the ease in hacking the Amazon Echo and using it to "listen" (spy) on anyone speaking within it's vicinity. Apparently (and reasonably), the researchers informed Amazon in advance about their findings, prior to making the presentation at the conference. Amazon had implemented a patch for their top selling product after being informed and a spokesperson for Amazon advised that the vulnerability required physical access to the product, to enable the hack. The security patch was released in July. Of concern, is the fact that the researchers DID NOT have physical access to the devices in question. They only had access to the LAN (Local Area Network). 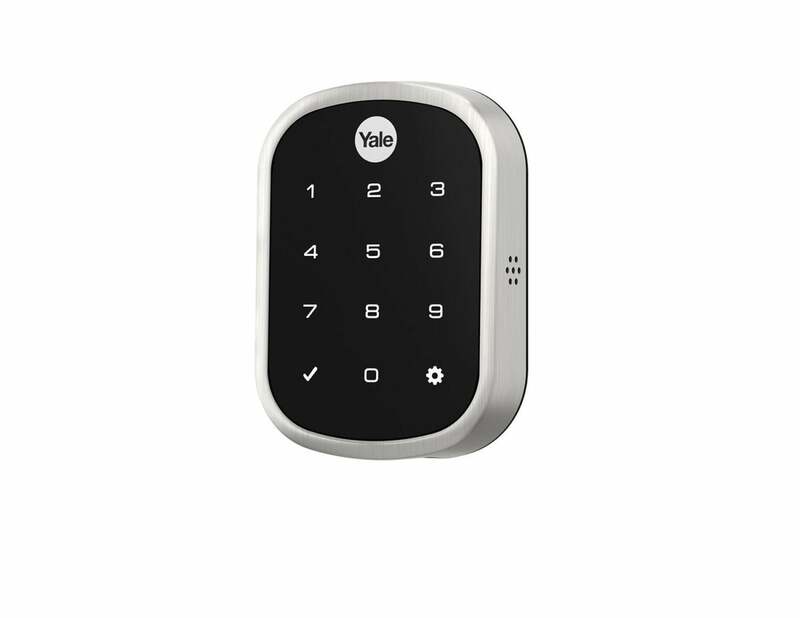 The reason we include this article in our site, is because Amazon Echo devices and other smart speakers are increasingly being used to operate smart home product including (but not limited to) electronic door security products, deadbolts, alarm systems, cameras. Personally, I feel that the article should have been worded differently and that authors should think hard before directly vilifying another company's product offering.